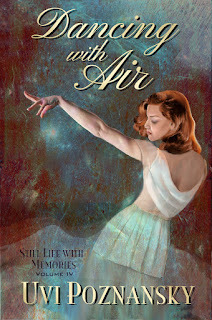 Dancing with Air is an incredibly well-written, well-researched historical tale that takes place in the WWII era. Surprisingly, the author weaves music throughout the story in a beautiful, enticing way that added a whole new dimension and made it more enjoyable. I liked the two main characters, Lenny and Natasha, and felt very sad for Lenny when it became clear he was losing her to a horrible illness, though her body was there beside him. Ms. Poznansky, a master in story-telling, developed the plot in such a way that it kept my interest from page one until the very end. I also appreciated the well-phrased descriptions, especially while in London - in fact all my senses were drawn in as the author created this intrigue. Danger, deception and romance are woven together perfectly and will keep you turning the pages… captivated.